Metals X has reported that commissioning of an optical ore-sorting plant has commenced at its Renison tin mine in Tasmania. Meanwhile, Aus Tin Mining has reported positive results for preliminary ore-sorting test work on ore from its Taronga tin project in New South Wales. 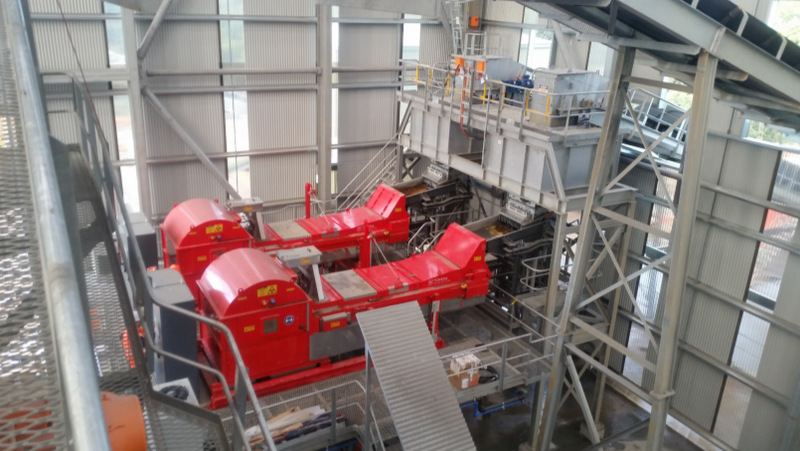 The optical ore-sorting equipment at Renison comprises of a three-stage crushing, screening and ore-sorting plant, which has been constructed at a cost of US$11 million with an estimated payback of 10 months at current tin prices. The plant is expected to result in a 15-20% increase in annual tin production at Renison, which totalled in 7,082 tonnes in 2017, by increasing the head grade of feed to the main processing plant. Aus Tin Mining have reported preliminary work by applied X‐Ray Transmission (XRT) ore sorting technology to a 60kg sample of tin ore from Taronga, resulting in a 54% overall increase in head grade at 96% tin recovery. The implementation of ore-sorting at Taronga could lower CAPEX by increasing rejection of waste material and therefore lowering the main processing plant capacity requirements. The increase in recoveries would also increase revenues. The company intends to accelerate the next stage of pilot test work by testing a two‐tonne bulk sample through TOMRA’s pilot facility in Sydney, which should provide sufficient information for scale‐up to a full‐scale production plant. Our view: Interest in applying optical ore‐sorting equipment to tin mining operations has increased notably in recent years. Peruvian miner, Minsur, implemented the technology at its San Rafael Mine in 2016. Kasbah Resources and Avalon Advanced Materials are exploring the benefits of integrating the technology in the process flowsheets for their respective tin projects, Achmmach in Morocco and East Kemptville in Canada. The technology is not practical for particle sizes of less than 8mm and so can only be applied to hard-rock mines. This could see hard rock tin mining become more competitive in the years ahead and take a greater share of mined tin supply at the expense of tin production from alluvial and eluvial sources.